Former WWE and Impact wrestler Alberto Del Rio/El Patron became a naturalized U.S. citizen this week after U.S. District Judge Fred Birley welcomed more than 500 immigrants at the Edgewood Theatre of Performing Arts for the ceremony according to FOX29 San Antonio. 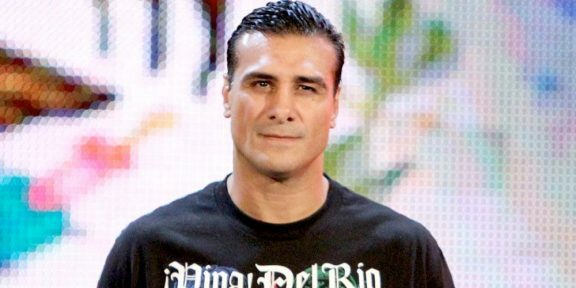 In a speech in front of everyone, he discussed his story and introduced himself by his real name and Alberto Del Rio, the name he used while wrestling for WWE. He joked that he literally had to “fight and wrestle” to get to this point, mentioning that he comes from the most prestigious lucha libre family in Mexico, moving to Japan to train in MMA and then getting the call to come to the United States and wrestle for the WWE. “We come to this country to have a better life and to accomplish our dreams and that’s exactly what I did,” he said, listing his accomplishments while in WWE. The former champion then thanked WWE because WWE believed in him regardless of the color of his skin, or the place where he was born. “They gave me the opportunity just because I have the talent and I came to prove that I was worthy to lead and to be part of this amazing nation,” he added. The man known as the “Pride of Mexico” then said that his biggest accomplishment are his kids, who are all born in the United States and who also have the privilege to live in the U.S. He did not mention Impact Wrestling at all or made any references to his time there.